Any mother or mother-to-be will benefit from this book which covers pregnancy health and fitness for each trimester. 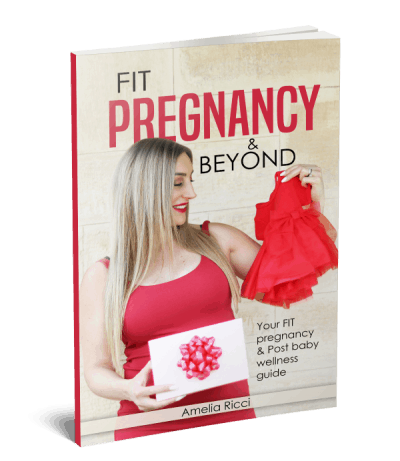 FIT Pregnancy & Beyond was created in respond to your questions and includes what you can expect including changes in your body, but also the important mental and emotional side of pregnancy so your journey is enjoyable. A postnatal exercise guide with photo glossary is included to give you the exercises to strengthen and rehabilitate your core muscles to begin to build back up to health and fitness post baby. Staying Fit: Safe Exercise Guide for Each Trimester, including videos. Eating the right nutrients for pregnancy (RDI’s based on the latest medical science). Post Baby Shape Up exercise routine with photo glossary. How quickly can you bounce back post baby? Meal ideas for losing the baby weight. How to schedule health and fitness when you’re a really busy mum! On Sale for just $49.95 includes hard copy & eBook! While stocks last, exclusive offer!